Very excited, as I am visiting my small grandchildren in North East Scotland during the Easter break. 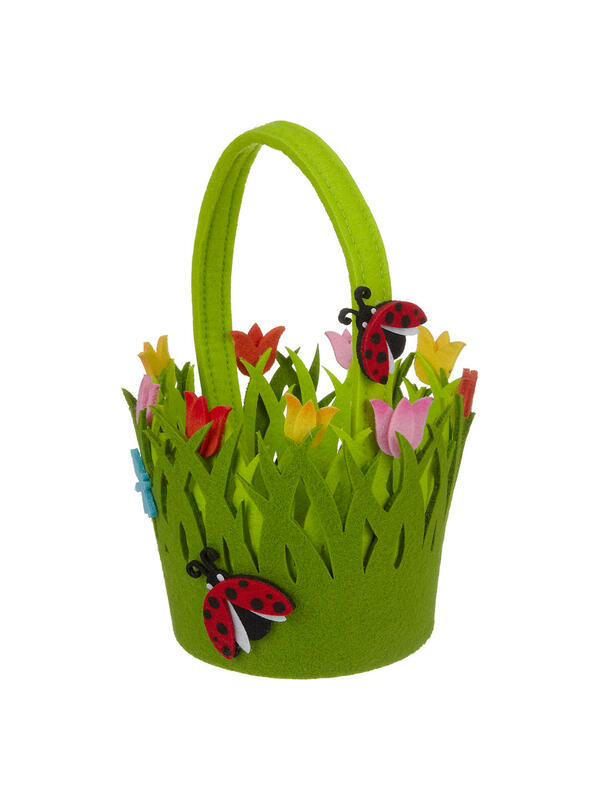 We are going on an Easter Egg hunt at Haddo House on Sunday morning and I couldn't resist buying two of these cute baskets for the girls. We will also be dying hard boiled eggs and then using them for the ancient tradition of egg tapping (find out about egg tapping here). After which the eggs can be used in sandwiches for our picnic lunch.